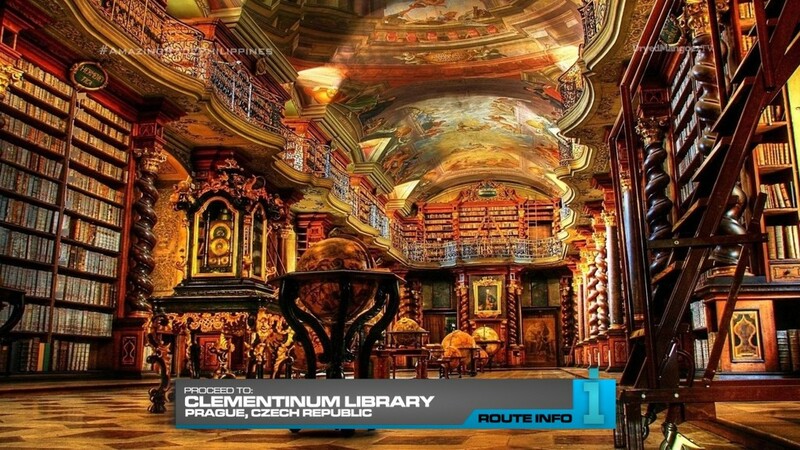 This 8th SuperLeg continues as teams must now make their way to the Clementinum Library. Teams must search this beautiful, vast library for marked books which contain a riddle. The riddle will point them to another, unmarked book in the library which will contain coordinates pointing to four different cities around the world as well as a slip of paper with a blank space for four letters. Teams will use the globes in the library to find cities, take the first letters from each and unscramble their next destination: Brno. Once teams are correct, they will be given the next clue. Teams are FORBIDDEN from helping each other on this task. 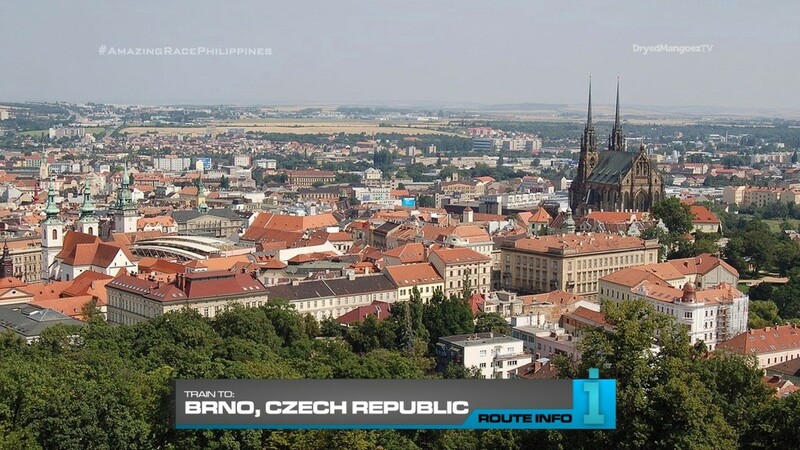 Teams must travel by train to Brno, arriving in the nearby city early morning. 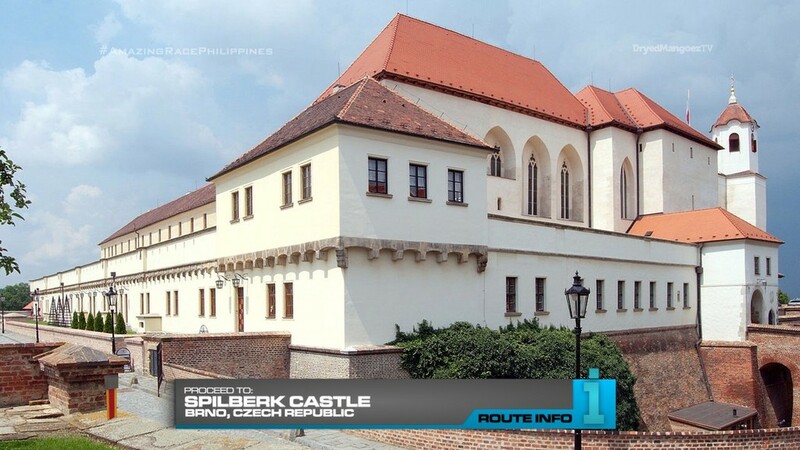 Once in Brno, teams must make their way to Spilberk Castle and search for their next clue. That clue also contains a small figurine which they must keep until further notice. 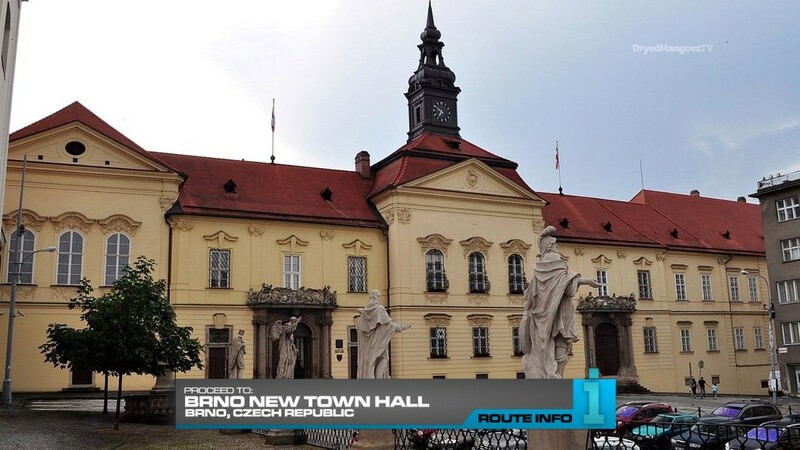 Teams must then make their way on foot to the Brno New Town Hall. 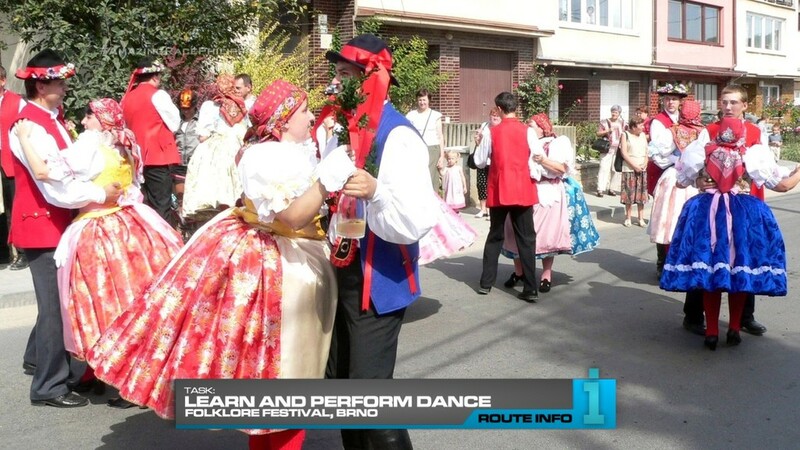 Here, teams must dress in kroje and learn a traditional dance which they must correctly perform at a Folklore Festival. After getting the thumbs up, teams will be given the next clue which reveals a Blind! Detour! Still dressed in their kroje, teams will choose between Warm or Fresh. 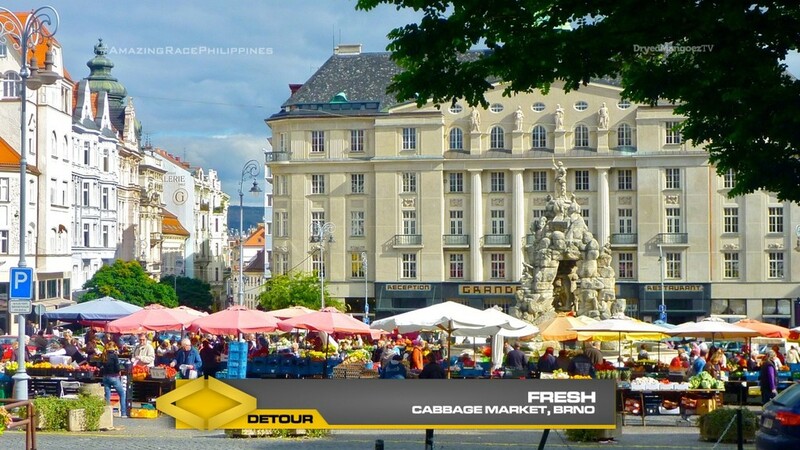 Teams will only be given locations of the Detour, but not be given descriptions of the tasks. 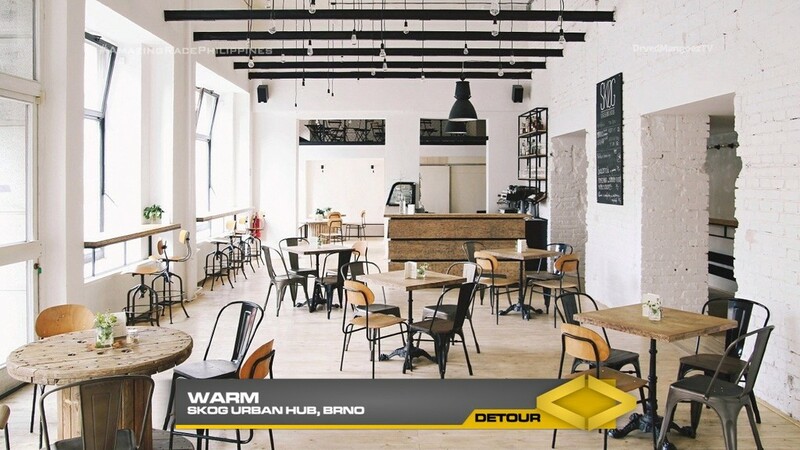 In Warm, teams must head to Skog Urban Hub and learn how to make eight different latte art designs for waiting customers. 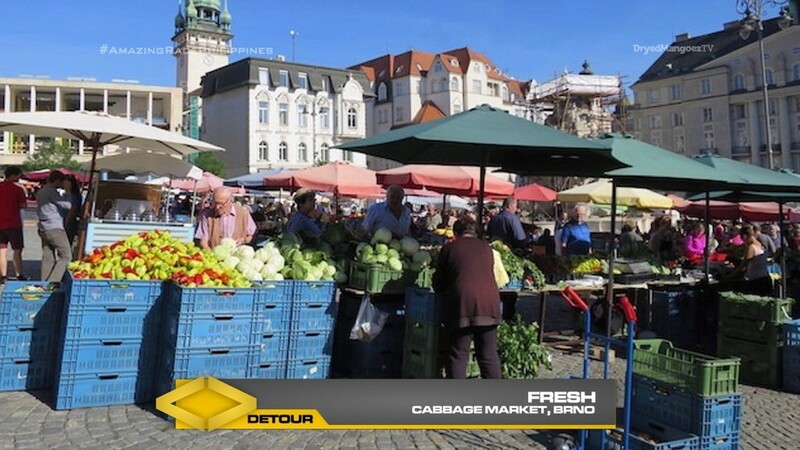 In Fresh, teams must head to the cabbage market where they will have to transport all the necessary items and set up two market stalls. 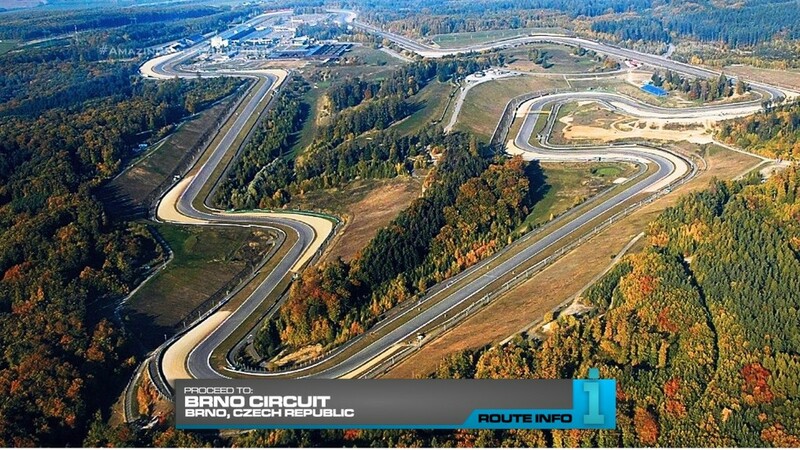 After completing the Detour, teams must make their way to Brno Circuit where they will find a Double Road Block: In or Out. 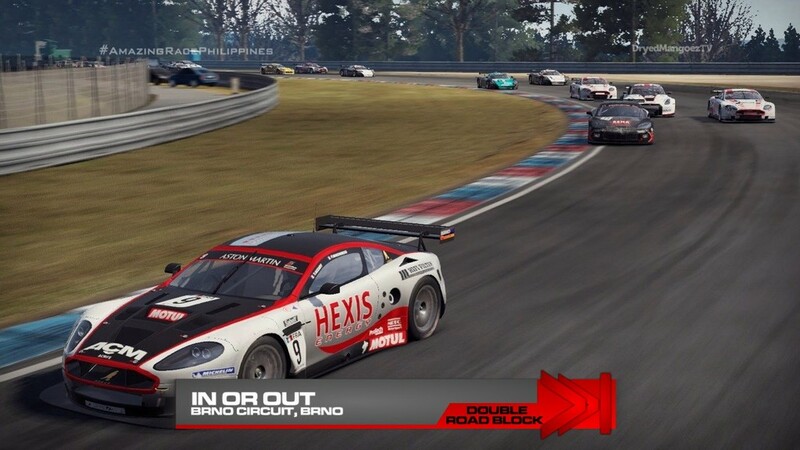 The team member who choose to be “In” will take a ride around the circuit for two laps in a Grand Tourer car and must keep an eye out for five numbers along the track. These numbers, in the order they see them, will unlock their next clue. The team member who chooses to be “Out” must join the pit crew and help change two tires in the middle of the run. Teams must complete this entire task within a set time limit. 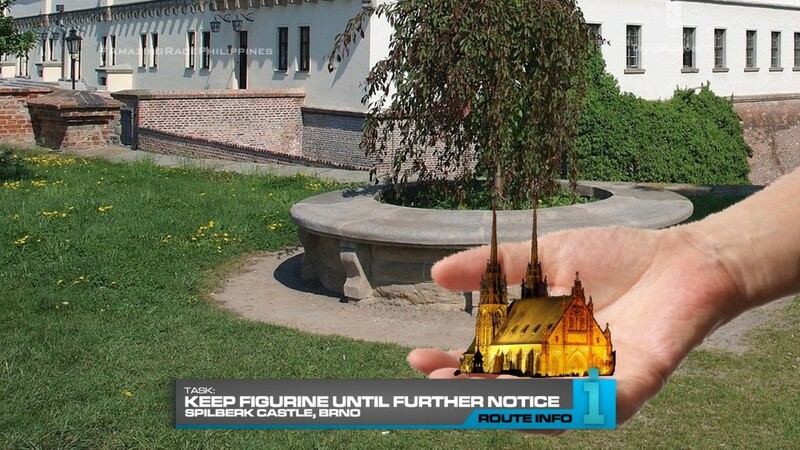 When they do, they can open the next clue which tells them: “You’ve already been given your next clue.” Teams must figure out they need to refer to the figurine they were given earlier which is of: The Cathedral of St. Peter and Paul. And at the cathedral is the clue pointing teams to Villa Tugendhat. 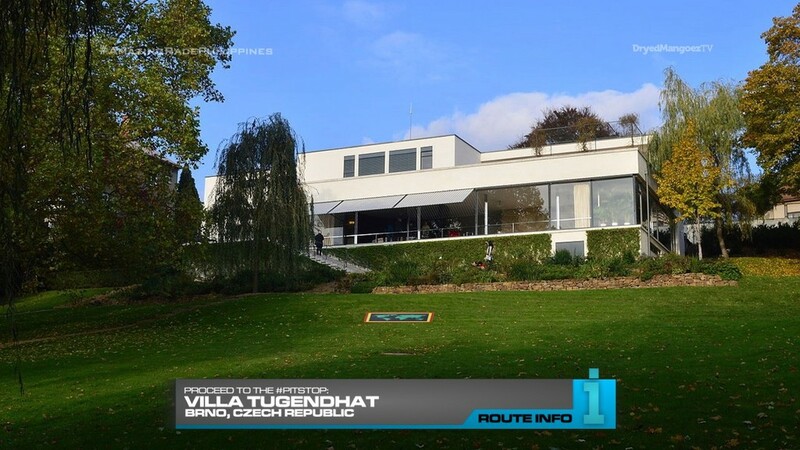 This iconic prototype of modern architecture by Ludwig Mies van der Rohe is the Pit Stop for this Leg of the Race. So I couldn’t do Prague without a visit to the Clementinum library. What a stunning place. (Or so it seems from pictures online lol I’ve never been there of course.) And yes, it will look AMAZING in 4K UHD drone footage. Indoor drone footage y’all! Also, it’ll still be in the middle of the night, so the library would be all filled with light. Very stunning. Lots of trains these last few Europe Legs. And that’s fine. Equalizers are great! The sunrise dancing at the Folklore Festival should be great, especially with teams already tired from a long day and night. And it isn’t even over yet! 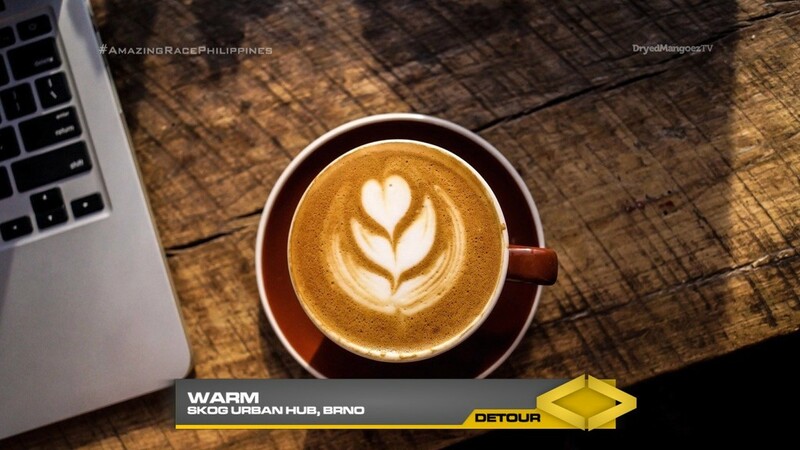 Both Detour choices are simple and straightforward. So to help fill out the Leg and make this Detour a little more exciting, it is a Blind Detour. Plus teams are again walking on foot, so that will add another challenge. 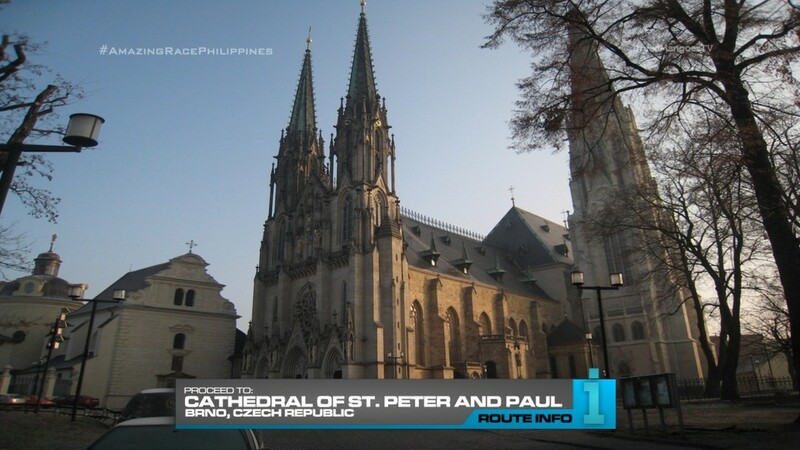 The last two Route Markers are nice contrasts in iconic architecture, both in Brno.